Am heading to this tomorrow evening. It promises to be a rare night! There may be some tickets left at the door, so do come along. Just make sure to bring rain gear and a torch. It’s dark on that country road as you move from the car park to the welcoming lights of the cottage and the tower. Let’s stir up a few of Yeats’s and George’s spirit pals, shall we? 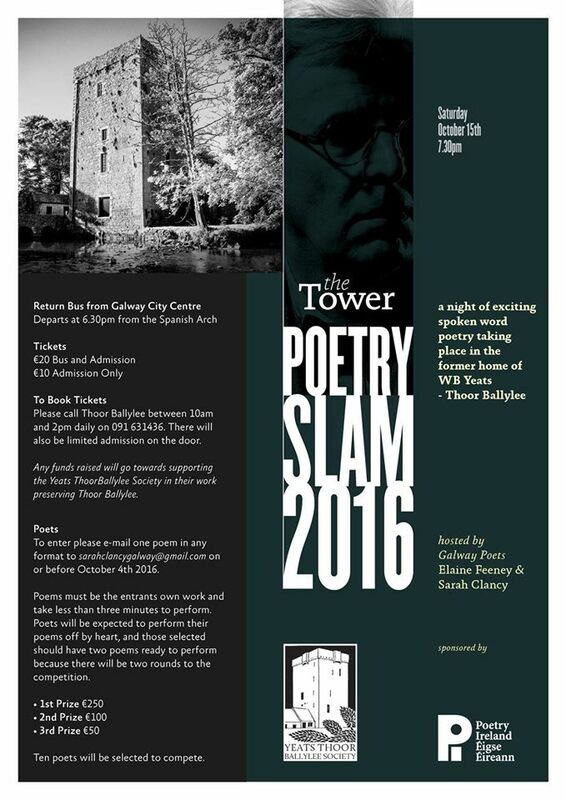 May the best poetry slammer win!